Let us remember the 100-plus year history of labor day and the hard working men and women of America who came before us along with those working tirelessly today. The fight for a fair wage is far from over. 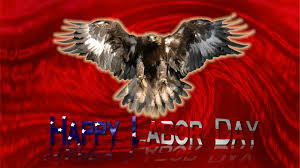 Wishing everyone a Happy and Safe Labor Day! Posted in Press and tagged Dutchess County Legislator District 14, Francena Amparo, Labor Day, Legislator Amparo, Wappingers Falls on September 7, 2015 by Dutchess County Legislator Francena Amparo.